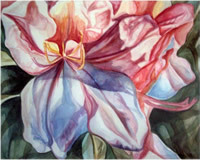 I have been an artist for the past 20 years, mostly focusing on abstract watercolor paintings and life drawings. 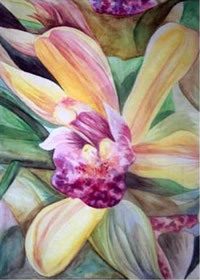 She attended college at Adelphi University where she received her BA in Art Education, and MA in Fine Arts. I enjoy spending time spreading creativity and working with students in the Jericho High School, as well as the Jericho Middle School. My classes have included: Advanced Placement Art, Art Seminar, Media Arts, Photography, Studio Art, E-Commerce and Animation. In my free time, I continue to enjoy drawing, painting, taking photographs and experimenting with new computer art programs. 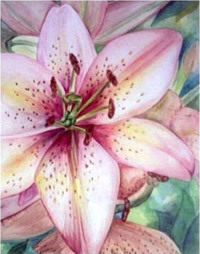 My passion is watercolor!